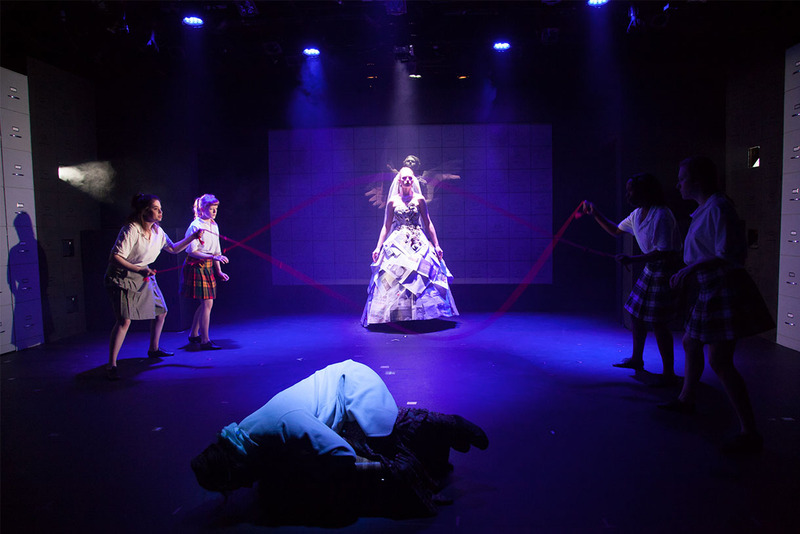 You’ll study all aspects of the creation of theatre and live performance in the Theatre Design and Technology bachelor’s degree program at Columbia College Chicago. The program emphasizes design as a collaborative process that requires close cooperation among directors, designers, technical teams, and performers. You can explore many interests or choose from advanced courses to focus on a single area of design and production. No matter what path you choose, you’ll get experience across disciplines. You’ll build a strong foundation that will prepare you to collaborate with different kinds of theatre professionals. You’ll take courses in set, lighting, costume, and sound design to gain hands-on experience creating theatre in many genres and styles. Our Theatre Department stages 40 theatrical productions a year, and Theatre Design and Technology majors are always behind the scenes. You’ll learn the professional approaches and standards of the field as you work on projects ranging from black-box productions to Mainstage productions, which are directed by faculty members and guest artists. You’ll have opportunities to work as a designer, technician, running crew member, scenic painter, makeup artist, and sound engineer. Columbia College Chicago stages 40 productions a year, so our Theatre Design and Technology majors are always busy. As part of your coursework, you’ll work on faculty-directed Mainstage productions in addition to student-produced work. You’ll get involved right away. During your first year, you’ll have a chance to crew, hang lights, build sets, design sound, and construct costumes. You’ll take foundational courses in theatre history and theory to gain important context for creating worlds on stage. You’ll take courses in theatre drawing, including rendering and drafting, so you can clearly and professionally communicate your ideas across teams. A Career class will help you develop an impressive portfolio and practice interviewing skills. You’ll learn about job possibilities that you never knew existed, and learn how to get a foot in the door. 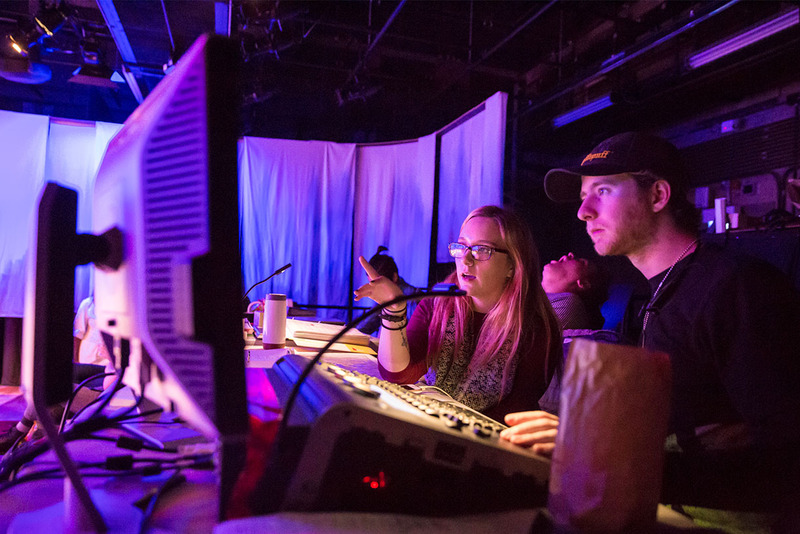 Many Theatre Design and Technology majors get experience on productions off-campus before graduating. You’ll leave the program with a full portfolio of work. By your last year, you’ll have experience designing, building, and producing shows. Studying theatre at an arts and media school gives you opportunities to collaborate with students in other disciplines. You can work on concert, dance, and event lighting; costumes for fashion, film, and television; art exhibit scenic design; and sound for events of all kinds. 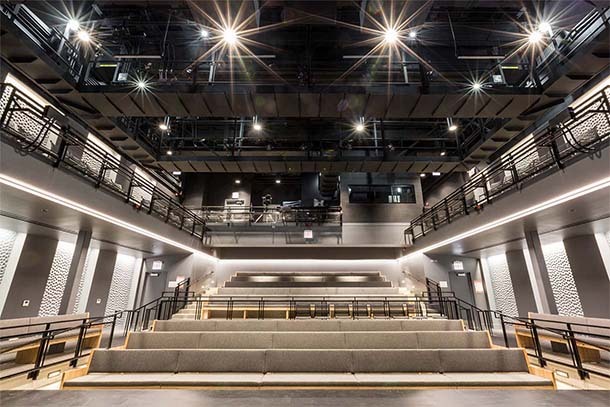 Studying theatre in Chicago means you’ll have access to world-renowned productions and theater spaces. Your courses will include trips to meet with professionals at places like the Lyric Opera, Goodman Theatre, and Millennium Park. 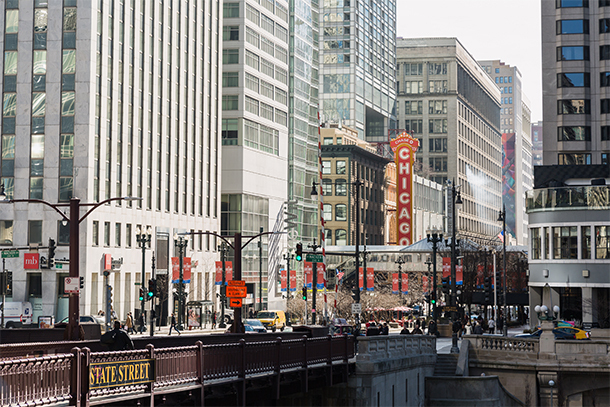 Chicago is a friendly and supportive city for theatre professionals just starting out. Your faculty mentors will help you navigate the industry and transition into the professional world after graduation. Internship experiences in theatre design and technology can be diverse. You may work as a crew member in a professional theatre, sometimes as an assistant designer or assistant technical director. Or you may work on a specific show for a brief, intense period. Or you may work on many aspects of creating and maintaining a theater’s season for a semester. Students often assist one of the faculty members on their professional work. The Theatre Department hosts two internship fairs each academic year, with attendees ranging from representatives of prominent theaters like Steppenwolf, Victory Gardens, and the Goodman to those of small storefronts. 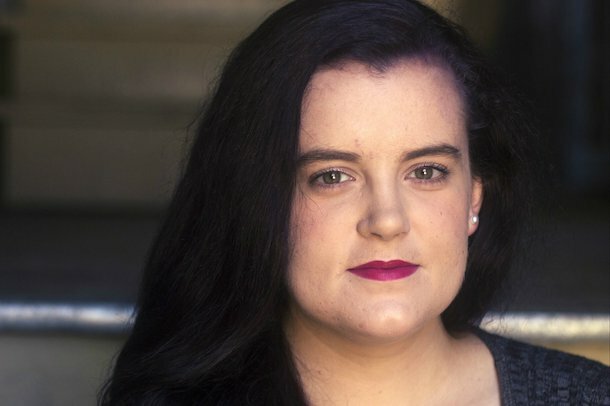 Stage manager Rose Hamill ’16 handles the unseen work that makes success possible at Broken Nose, which won the Chicago Emerging Theatre Award in 2018. The Theatre faculty members at Columbia College Chicago bring experiences from a variety of theatrical backgrounds to the classroom. They are professionals who maintain strong connections to the industry and continue to produce, design, and work on projects while teaching at Columbia. Heather Gilbert’s lighting designs have been seen onstage at almost every theater in Chicago, including Steppenwolf Theatre, Goodman Theatre, Court Theatre, The Hypocrites, About Face Theatre, and countless storefronts all over the city. They have also been seen across the U.S. at the Oregon Shakespeare Festival, Magic Theatre, Berkeley Rep, the American Repertory Theatre, Actors Theatre of Louisville, the Alley Theatre, Kirk Douglas Theatre, Studio Theatre, and Williamstown Theatre Festival. International credits include the Almeida in London and Singapore Repertory Theatre. Frances Maggio is a costume designer with an extensive career in the Chicago area. Recent designs include The Producers (Jeff Nomination Best Costume); The Addams Family Musical and The Color Purple (Jeff Nomination Best Costume, Best Production) at The Mercury Theater in Chicago; The Goat: Or Who is Sylvia (Jeff Award, Best Production) at Remy Bumppo; Speaking in Tongues, the History of Babel for Impact Theater Ensemble; Dorkumentary Live! at Theater Wit; and Four Monologues, a short film. 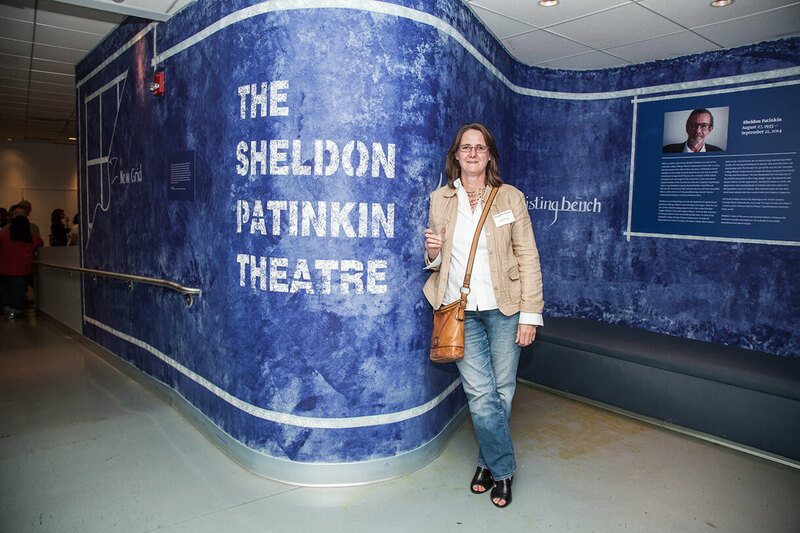 Jacqueline Penrod is associate chair of the Theatre Department. Her career spans more than 25 years. She has worked at many of Chicago’s theatre companies, including Northlight, Steppenwolf, Lookingglass, and Remy Bumppo. Her work has been seen at theaters in Wisconsin and Indiana. Marc Chevalier is a lighting technologies instructor and the master electrician at Columbia College Chicago. He worked extensively at Court Theatre before joining Columbia, and is a master electrician for Windy City Playhouse. He has also worked at the International Circus Festival and at a number of Chicago theaters, including Remy Bumppo. View all Theatre Department faculty.